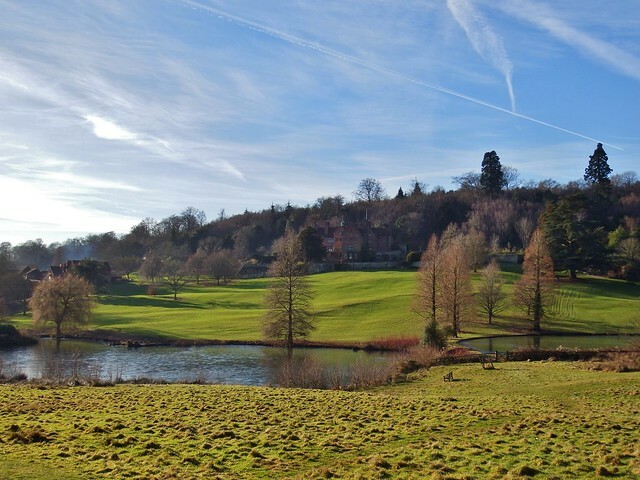 Chartwell in Westerham is set in glorious countryside that offers several choices for a wintery ramble. One popular route takes walkers up Mariners Hill to admire stunning views over the Chartwell estate and nearby Bough Beech reservoir. Benches dotted along the route allow convenient rest breaks. Dive into the woods, follow the bridleway and emerge at Chartwell again, ready for tea and cake in the restaurant. Or you can book in for Christmas lunch in the Lady Soames Room between 4 and 21 December (Tue to Fri, 12 noon and 1.30pm). Just call 01732 861161 ahead of your visit. Or enjoy a special festive brunch on 26, 27 December or 1 January 2019 between 11am and 2.30pm. 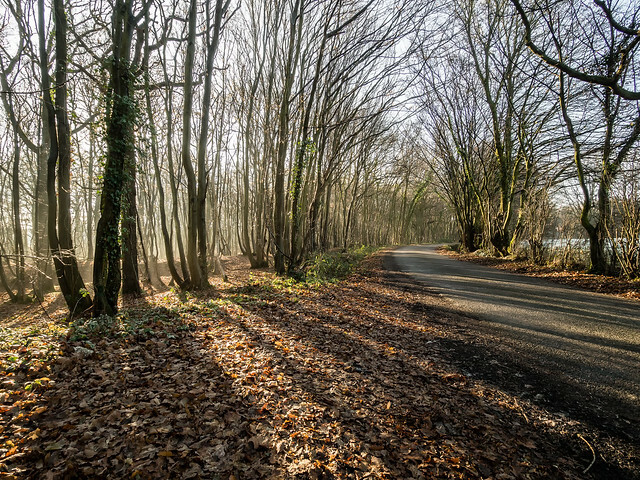 Two guided walks take place on Boxing Day and New Year’s Day at Ightham Mote in Ivy Hatch. Both start at 10am and end with the chance to enjoy a bacon sandwich in the café before heading home. £10 per person (includes walk and refreshments), bookable in advance on 01732 811314. The wider estate at Ightham Mote is open for self-guided walks all year round and the café serves hot drinks, snacks and meals daily (except 24 and 25 Dec). 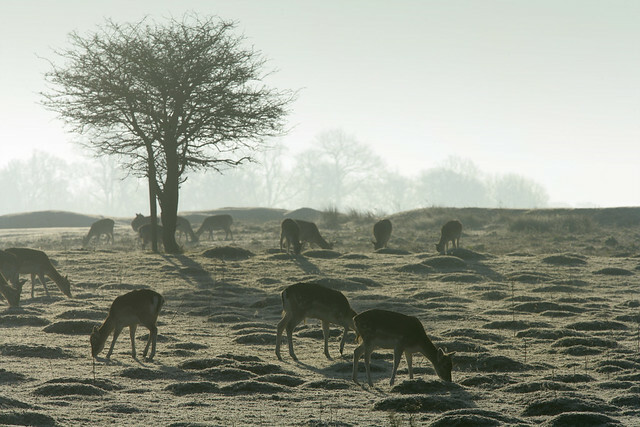 The 1,000-acre deer park at Knole is a picture of winter perfection, with glittering frost, dramatic trees and fascinating wildlife at every turn. If you’re quiet enough, you may catch a glimpse of some of the 350-strong resident herd of deer. 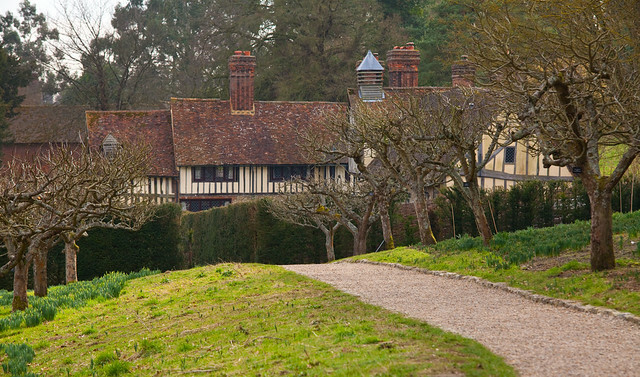 Those wishing to undertake a longer walk can venture further and hike to nearby Ightham Mote. The cosy bookshop café at Knole provides walkers with hot drinks and refreshing snacks. Alternatively, visit Brewhouse Café for a cream tea after your walk to recharge your batteries and relax. In winter the home of Vita Sackville-West is surrounded by frost-covered woodland and farmland, frozen lakes and winter foliage. Climb to the top of the tower to enjoy views over Kent and see the garden design, with its exposed pink brickwork and box hedges, laid bare. Throughout December, you can enjoy delicious and inventive two or three course festive lunches. Start with a parsnip and apple soup before moving onto a main of traditional roast turkey with pigs in blankets and finish with a dessert such as chocolate, clementine and Cointreau roulade. This festive lunch is perfect to finish off a morning walk around Sissinghurst. 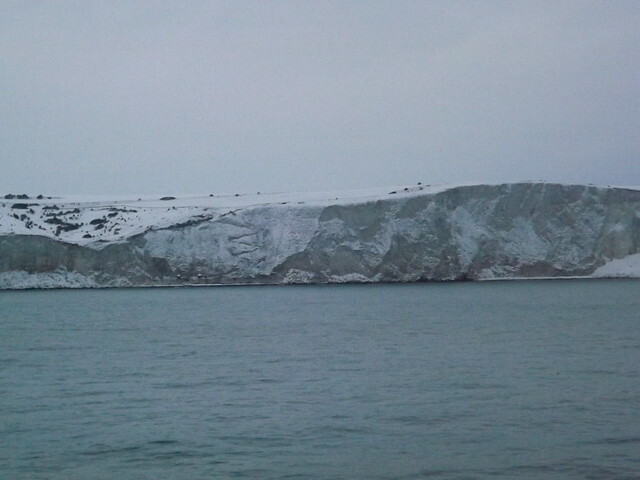 This famous clifftop walk is transformed in winter. Frost covers the ground in the early morning and winter visiting birds add continual interest as they feed over the grassland. At Emmetts Garden in Westerham a fun family trail is running every day between 24 Nov and 6 Jan (except 24 and 25 Dec). Hunt for presents underneath the festively decorated trees to win a prize, at just £1 per trail. Emmetts Garden is a haven of tranquillity all year round but especially in winter, where the bare branches of the trees frame far-reaching views and the beautiful hilltop garden starts to reveal the first signs of the spring growth to come. For a more ambitious walk, download the directions for the five-mile Weardale Circular route that takes you to Toys Hill and down the valley towards Chartwell. Or follow either of the east or west Octavia Hill centenary trails, named after the National Trust’s founder. 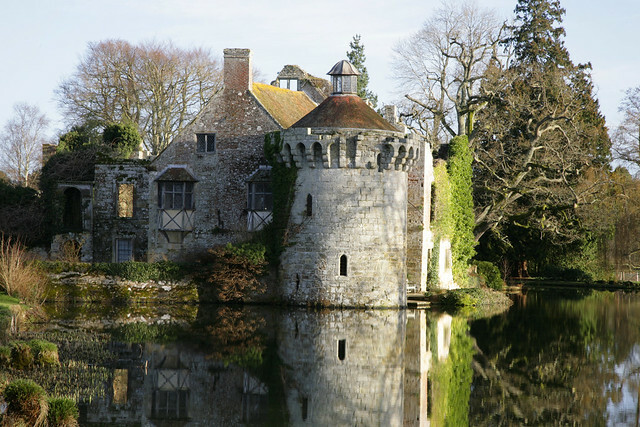 For curious children looking for something a bit different to do, come to Scotney Castle, where a special Noah’s Ark trail awaits. 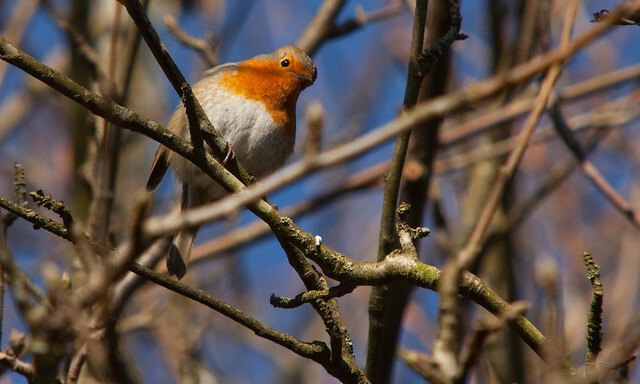 Running every day in December, the trail takes visitors around the garden to hunt for animals hidden in the undergrowth. Then drop into the mansion to see the beautiful Victorian Noah’s Ark on display that inspired the trail and entertained generations of children at Scotney Castle. Trail costs £2 per person. More intrepid explorers can enjoy a longer hike around the surrounding estate at Scotney Castle, which takes in a variety of countryside habitats including hop fields, woodlands and parkland. You can download a route map from the National Trust website and don’t forget to visit the tea room afterwards for a warm pick-me-up. Make sure you take a map or GPS device on your wintery walk and dress to suit the weather conditions. Wear stout winter footwear to guard against slipping on frozen patches and do pack a drink and some small snacks.